Prominent & Leading Manufacturer from New Delhi, we offer reel to sheet cutting machine, paper reel to sheet cutting machine, paper roll to sheet cutting machinery, non woven roll cutting machine, paper reel to sheet cutting machines and automatic paper roll to sheet cutting machine. We are offering Reel to Sheet Cutting Machine to our clients. We are one of the leading manufacturers of Paper Reel To Sheet Cutting Machine. 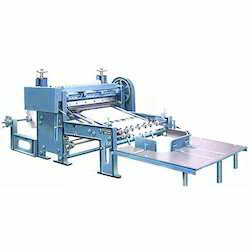 We are one of the leading manufacturers of Non Woven Roll Cutting Machine. We are one of the leading manufacturers of Paper Reel to Sheet Cutting Machines.The offered cutting machines are specially manufactured by using top notch components along with latest technology. 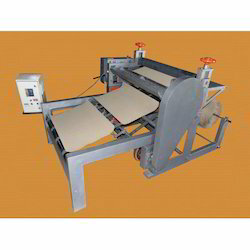 We are one of the leading manufacturers of Automatic Paper Roll to Sheet Cutting Machine. Specifications: Size Cutting Width Cutting Length Motor H.P Weight Ton Raw Material Roll Rell Stand 22. 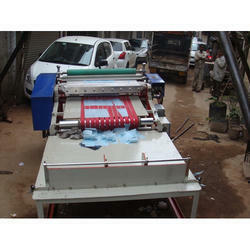 We are one of the leading manufacturers of Sheet Cutting Machine with Slitting Attachment. We are one of the leading manufacturers of Paper Roll Sheeter Machine, Paper Cutting Machine, Reel Cutting Machine, Reel to Sheet Cutting Machine and Rotary Sheet Cutting Machine etc. We are offering Gearless Roll to Sheet Cutting Machine. 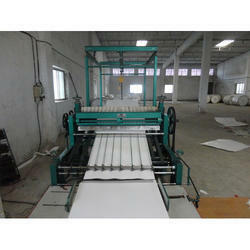 We are one of the leading manufacturers of Paper Roll To Sheet Cutting Machine. 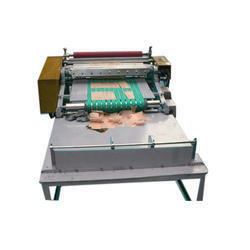 T his sheet cutting machine is perfectly manufactured by using brilliant quality components and modern technology. We defined the quality of our products after checking it properly so that our range performs better while using. Along with that, our honored patrons can buy the entire range of sheet cutting machines as they want at affordable rates. 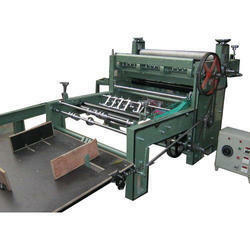 Looking for Reel To Sheet Cutting Machine ?